Blender is a Free and open source application for 3D Computer graphics software product used mainly for creating animated films, Visual effects, art,3D Printing Models, Video games and much more. Blender contains the following features sculpting,3D Modeling, animation, camera tracking, Rendering, Video editing, compositing and much more.It is available for multiple operating systems (ie) Windows, Linux, and MacOSX. 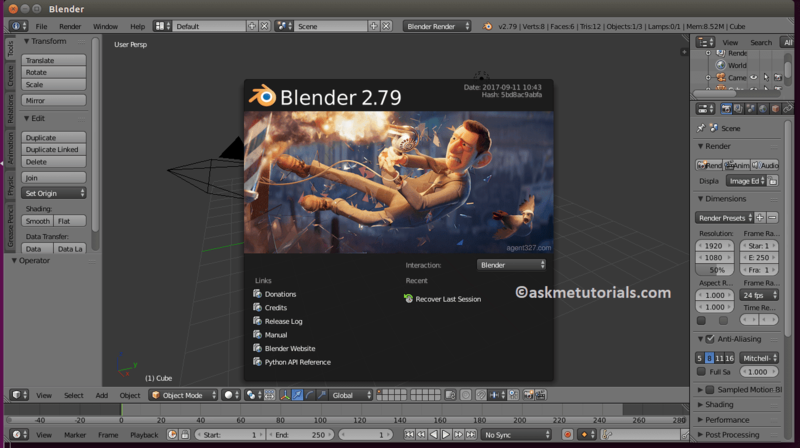 What's New in Blender 2.79?